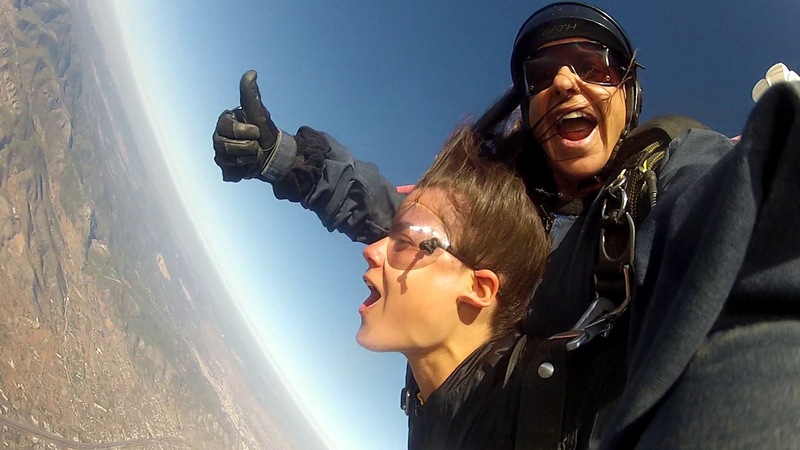 The Tandem Skydive is currently used worldwide and is the most popular way for first-time jumpers to experience the thrill of the sport of skydiving. 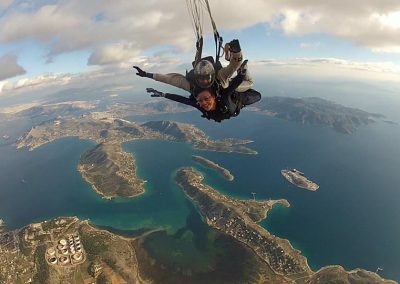 After a few minutes training, you’ll be able to jump with an experienced instructor of Skydiving Greece using a parachute system specially built for two. 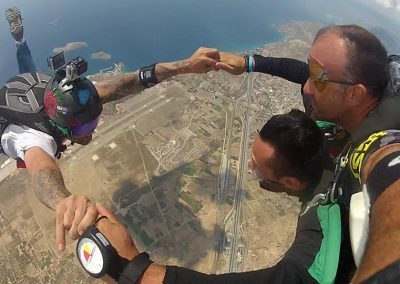 Your harness is connected to your instructor’s from start to finish and they will operate the parachute to a soft landing in front of the designated area. 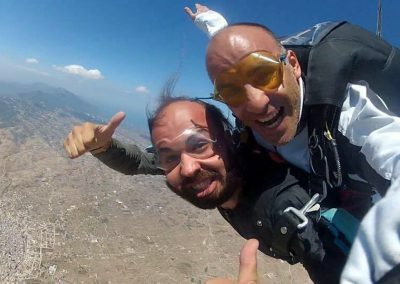 You will exit the aircraft at nearly 11,000 feet where you will experience the rush of free falling for approximately one minute at 120 mph. Then, the instructor activates the parachute and a five to seven minute scenic and peaceful canopy flight follows, until you land softly and safely on the ground. 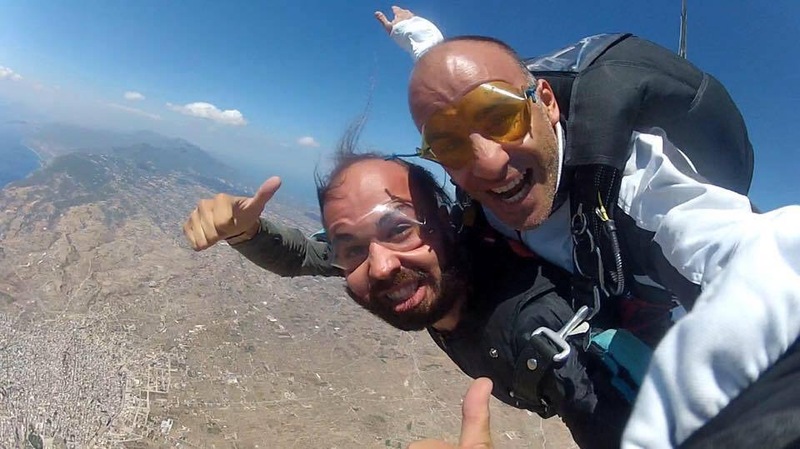 During the flight, full of adrenaline. You’ll enjoy the magnificent view of the Saronic Gulf, Salamina and Aegina islands, while you’ll be able to see the Attica basin to the Port of Piraeus. 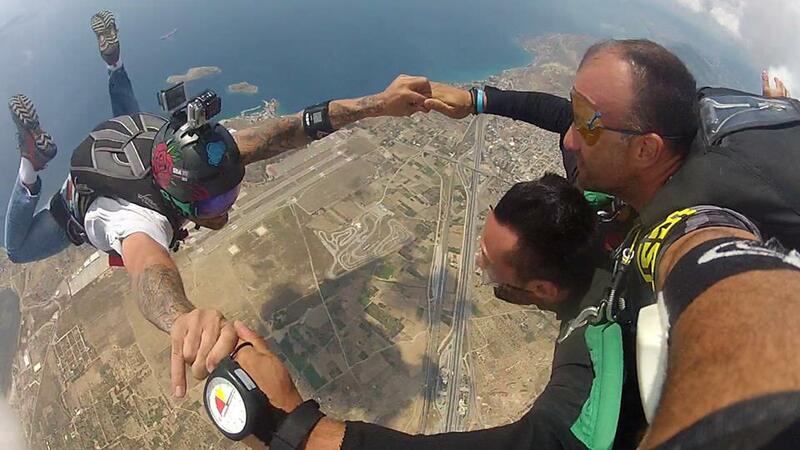 You only get to make your first skydive once, make it last a lifetime and capture the experience on video and photos! 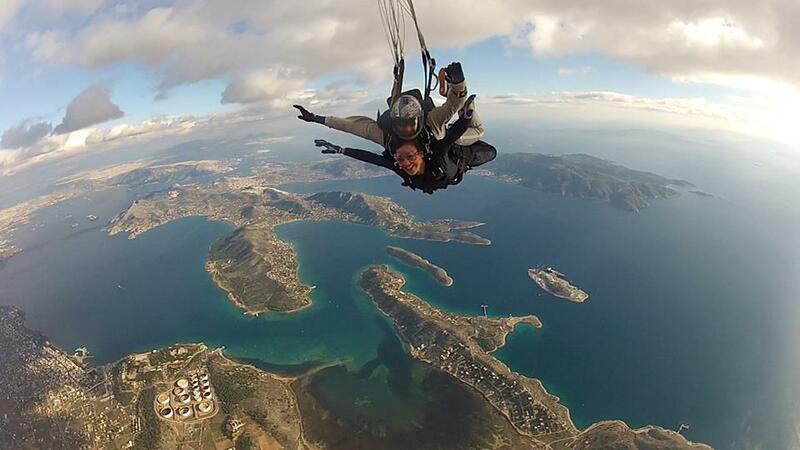 Ask us at Skydive Greece!